Oakland Road (Morgan County Route 28) — ten miles south of Berkeley Springs, West Virginia — will be closed to through traffic beginning as early as May 4, 2015. 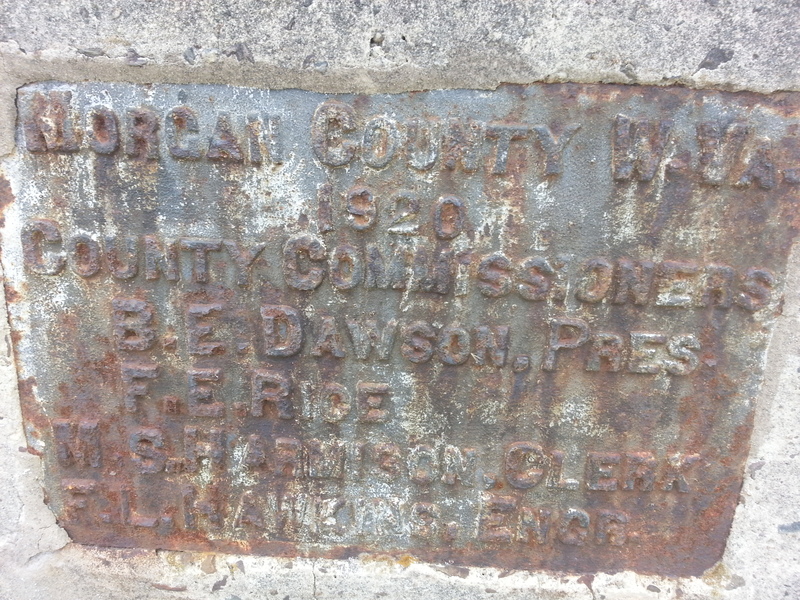 That’s according to the West Virginia Division of Highways. 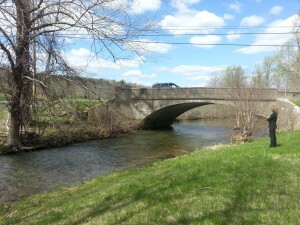 The Division of Highways will be constructing a new bridge over Sleepy Creek. The closure, located approximately one mile east of US 522, will be in place 24 hours a day, seven days a week. Motorists are advised to use Fish Hatchery Road (County Route 38/10) and Timber Ridge Road (County Route 28/2) to detour around the project. Construction is expected to be completed in approximately three months, weather permitting. 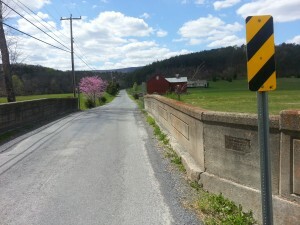 The arch bridge that is being replaced was built in 1920 by contractor H.F. Ringeling. 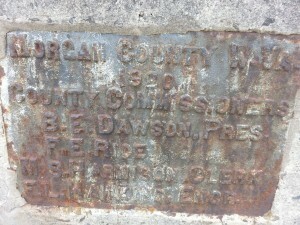 According to a plate on the bridge, Morgan County Commissioners at the time were B.E. Dawson and F.E. Ride.